For example, in the following example, benefits table has a column called v_status. This exp command will export only the rows that contains “INVALID” as value in the v_status column. 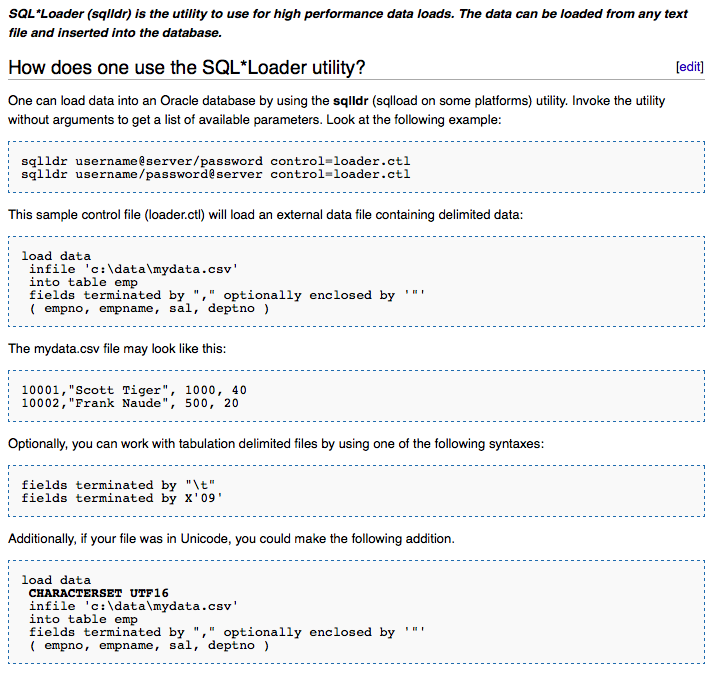 $ exp hradmin/mypassword TABLES=benefits query=\"where v_status=\'INVALID\'\"
SQL*Loader (sqlldr) is the utility to use for high performance data loads. The data can be loaded from any text file and inserted into the database.